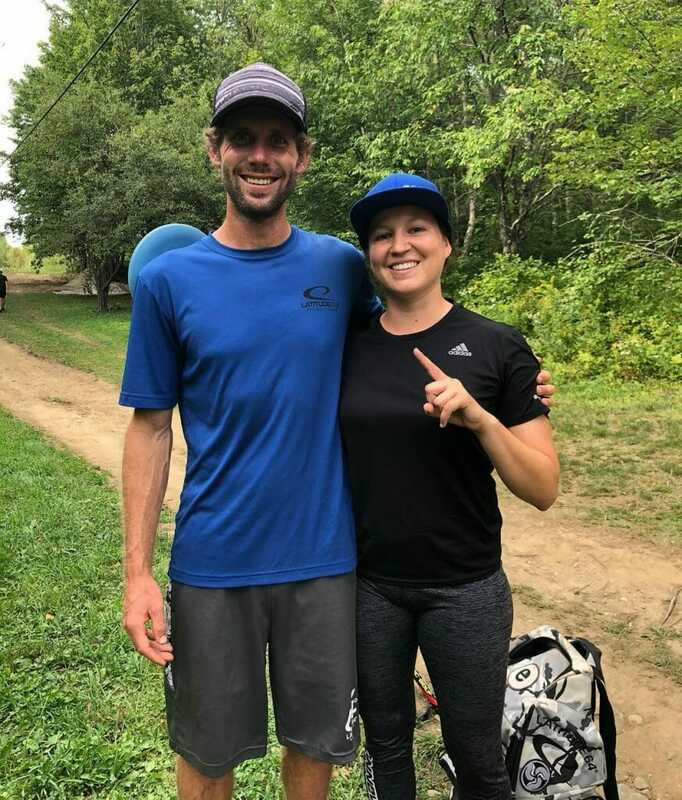 The team of Lisa Fajkus and Matt Bell took home the first championship of the 2018 PDGA Professional Disc Golf World Championship by winning the Mixed Doubles event on Sunday, September 2 after two rounds of 18 holes at Brewster Ridge. Starting the final round, Fajkus/Bell was three strokes off the lead but threw the hot round of 58 to come from behind for the win. Tied in second, two strokes behind the winners were the teams of Kristin Tattar and Silver Lätt, and Elaine King and Matt Dollar. We have to assume Fajkus/Bell relied on the putter to carry them to victory. Fajkus is known for her putting prowess, and Bell is no slouch. He’s the 2016 Pro World putting champion. Madison Walker and Zach Melton were the round one leaders but struggled in round two to fall to a tie for 11th place. Kona Panis and Colten Montgomery were also competitive after 18 holes before DNFing. Comments on "Fajkus, Bell Take Mixed Doubles At 2018 Pro Worlds"